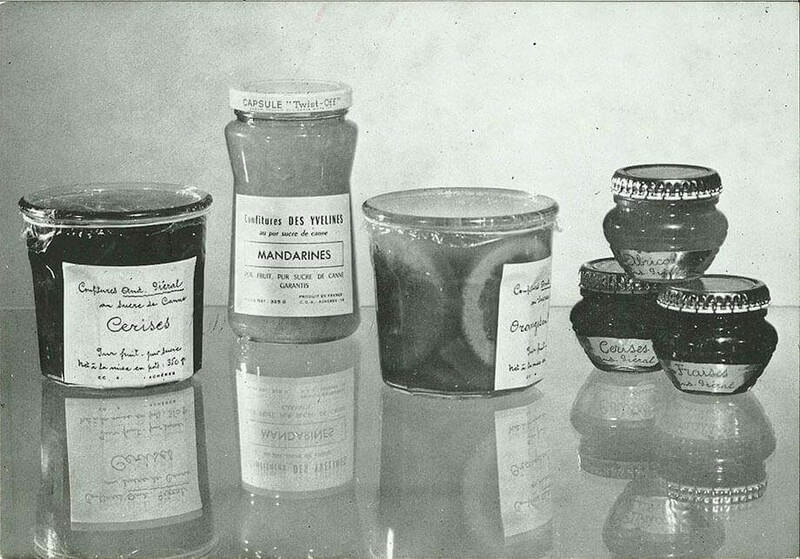 In addition to its jams and many other recipe varieties, Andrésy also makes stewed fruits. Handed down to us by our grandmothers, they are a timeless favourite! Andrésy combines well-being and a delicious treat in a high-end version of this must-have dessert, in 4* and 5* hotels and in shops. To be able to be called “stewed fruit”, a dessert must be made in accordance with certain regulations. Andrésy Confitures accordingly concocts its products with a minimum of 24% sugar, 85% fruit and no flavourings, preservatives or colourants whatsoever so that it can call itself “stewed fruit”. This is another delicious, top-quality product and family favourite that adds variety to the Andrésy Confitures product range. 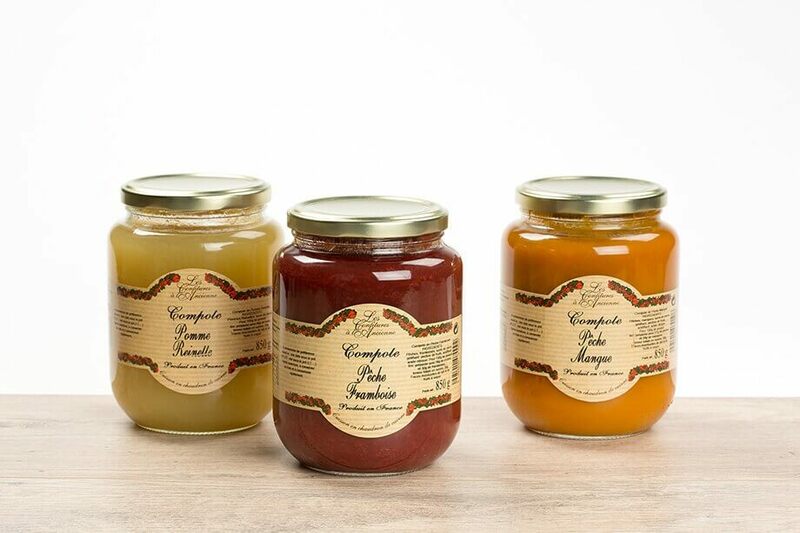 Andrésy Confitures, a leader in the high-end hotel sector in France, has been supplying 200,000 jars of stewed fruit to hotels ever since this innovative offering was created. Andrésy’s stewed fruit always comes in glass jars and Andrésy is the only brand to offer a 65 gram individual serving – a way of combating food waste. The stewed fruits made for the hotel industry combine traditional flavours such as apple and pear with more unusual combinations such as peach and mango, peach and raspberry, pear and orange or apple and prune. This gives hotel managers the possibility of offering tasty, traditional recipes, cooked home-style with good-sized pieces of fruit, for their buffets or room service menus. Originally, stewed fruit was made with just one type of fruit: apples. In recent years, though, over half of the stewed fruit produced consists of all sorts of fruit varieties – both the classics and more exotic varieties – as well as combinations of fruit. A touch of novelty for this timeless classic! And stewed fruit is not only delicious, it has undeniable nutritional qualities that give it an edge over other desserts! Stewed fruit is low on calories and packed with fibre and vitamins. It is a simple, modern way to eat fruit on a daily basis, as we are regularly advised to do. So, this convenient, healthy, delicious dessert is popular with everyone. In just a few years, the French have multiplied their consumption of stewed fruit. It makes a fresh, pleasant snack or a great start to the day with a “French-style” breakfast. 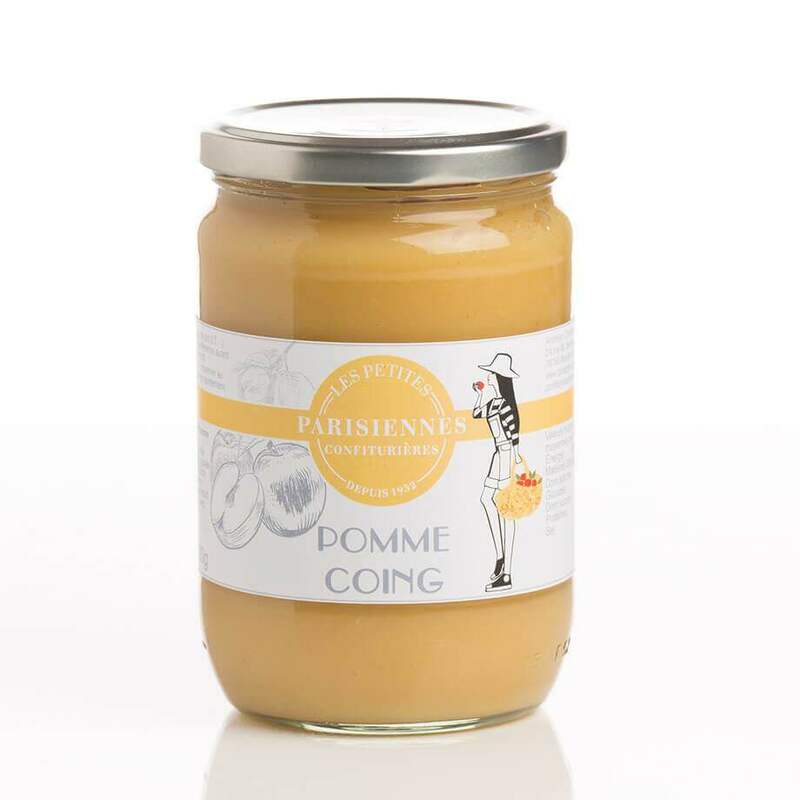 For a few months now, Andrésy Confitures stewed fruit has also been available in local shops in a family-sized 620 gram format under its regional brand Les Petites Parisiennes Confiturières. Apple, apple and quince, and apple and pear are marketed as “fruit desserts”: this is because they have a lower sugar content than is required by law for “stewed fruit”. At Andrésy Confitures, we do everything to please!